There's nothing better than a little mid-day indulgence. Tom Aikens Restaurant gave me just the opportunity to treat myself today with the most delicious lunch I've yet to experience in London. 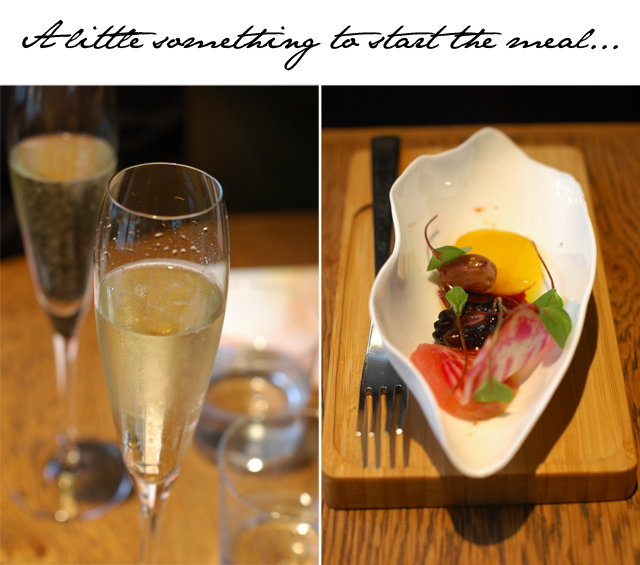 From the amuse-bouche to the final fork full of caramelised apple, I've found my perfect getaway for a warm and wonderful feast. 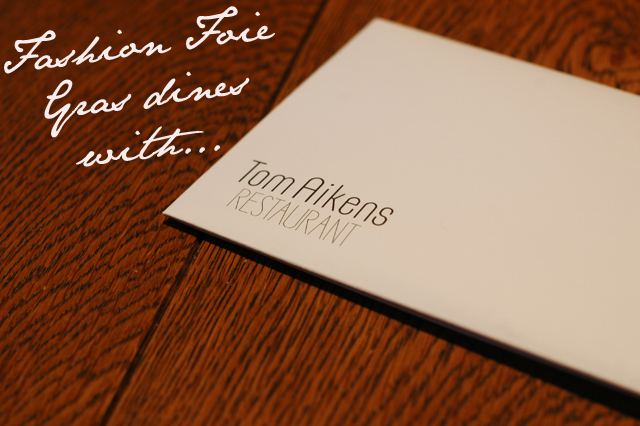 Tucked away on Elystan St. in Chelsea, Tom Aikens is a Michelin Star restaurant which certainly lives up to its stellar reputation. The service is fantastic from the warm greeting at reception to the on time delivery of each course and full attention of wait staff in between. Not a moment passed where I found an empty glass or empty plate on the table. Yet, the waitors were barely noticeable apart from introducing each dish. 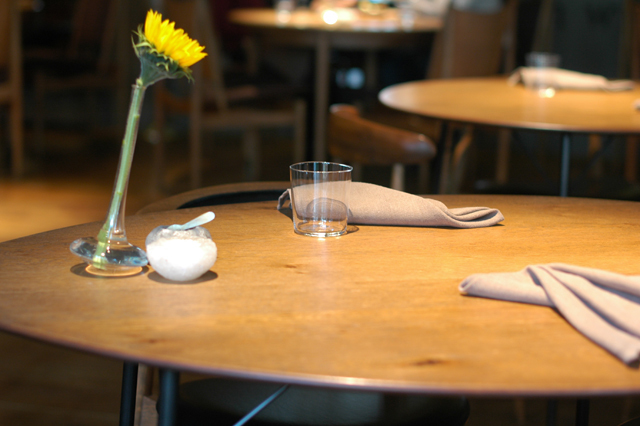 My conversation with my lunch date was rarely interrupted and the atmosphere of the restaurant allowed us to feel as if we were sitting in the most casual of establishments. However, the food told a much different story. 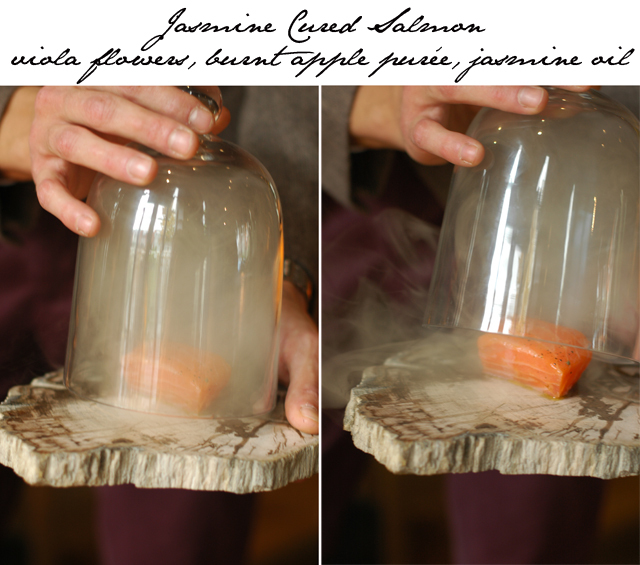 For my starter at Tom Aikens Restaurant I was told to try the Jasmine Cured Salmon as I was guaranteed the presentation made it a dish I would not soon forget. While I did enjoy the "smoking salmon", I must say I enjoyed the taste much more than the pomp and circumstance involved with serving the dish. And that truly is saying something as I am an absolute sucker for fabulous theatre when it comes to food. 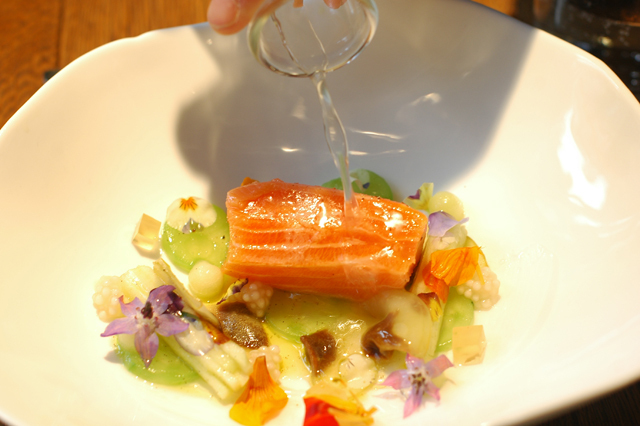 The salmon had an unexpected twist to the taste which made it a pure surprise for my tastebuds. Truly, that very rarely happens so it was a wonderful start to the lunch. 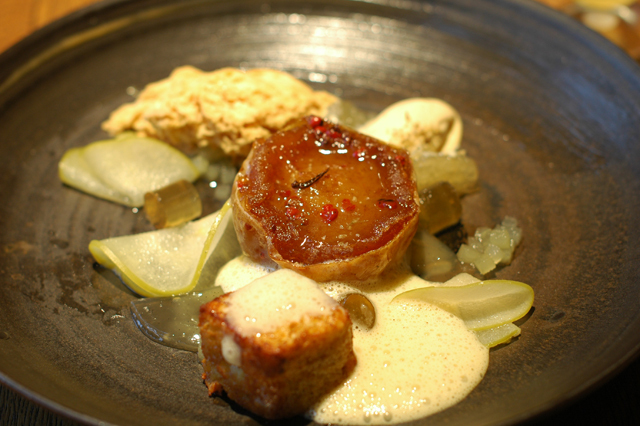 I cleansed my palette with the beautiful breads and butters that were served between the starter and the main. Ok, who am I kidding. I didn't cleanse anything. I simply indulged further in a carbohydrate heaven like none I have ever experienced before. 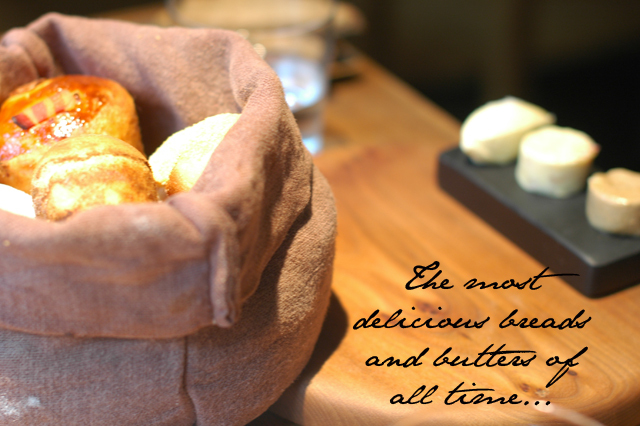 What I particularly loved was the way in which the breads were served. They are delivered to your table in a cloth sack that has warming stones lining the bottom to keep the breads warm as you make your way through them all. Trust me, it won't take long but you'll find that each piece keeps a perfect temperature because of this attention to detail. 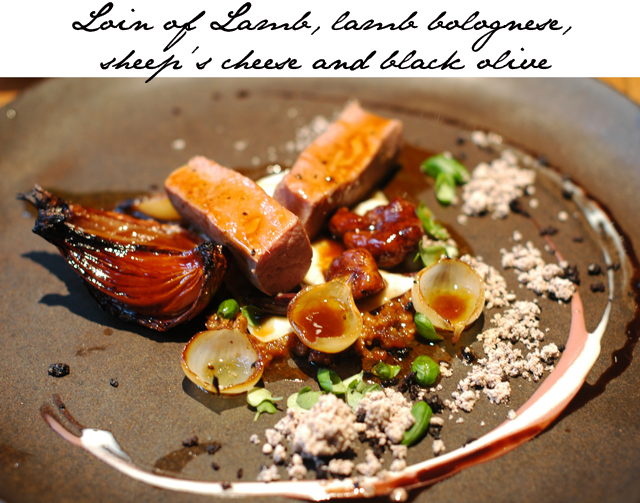 I followed my salmon starter with a beautiful loin of lamb served with lamb bolognese, sheep's cheese and black olive. If ever there were a food deserving the phrase "melts in your mouth," this is it. The presentation itself was gorgeous and streaks on the plate made me think immediately of a Jackson Pollock splatter painting. I hated to "mess" the delicate display but couldn't wait to dig into this delicious combination of ingredients. I was careful to combine as much as possible onto the fork and was pleasantly surprised by how each bite managed a different taste depending on the combinations achieved. It was truly a culinary delight. The meal concluded with dessert. As my lunch date so appropriately noted, "we have different stomachs for dessert." So of course I couldn't say no. 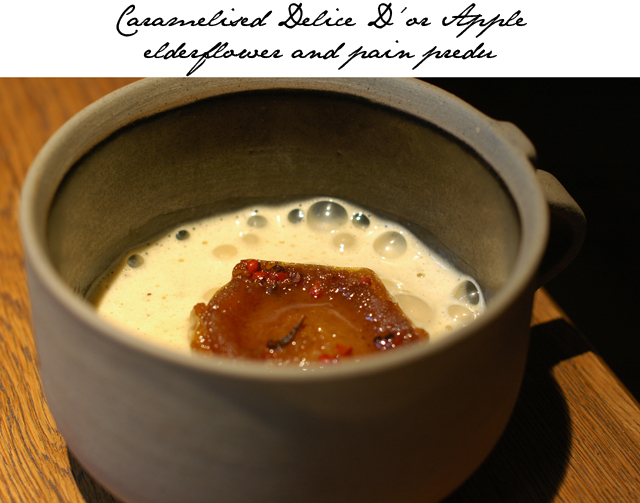 I chose the caramelised apple and my table mate chose the candied beetroot. The apple came with the most beautiful side delight, a piece of french toast. The combination of bites with apple and toast was out of this world. I think I'll have to sneak into the kitchen and find out how the chef makes his toast so perfect. It was both crispy, sweet and soft. A wonder all on its own. 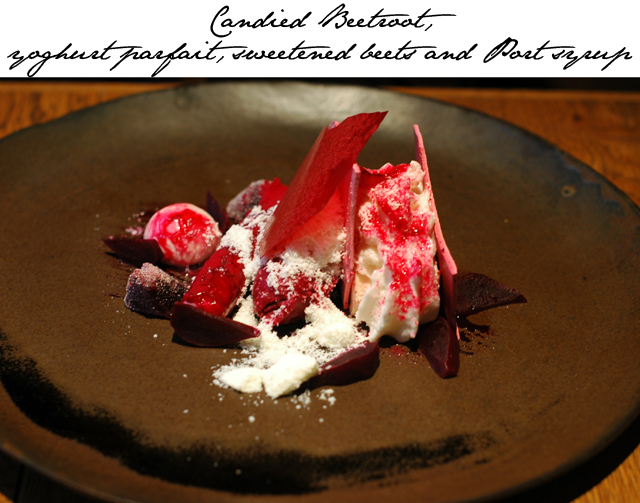 However, I had serious food envy as I saw the candied beetroot meet the table's edge. I was treated to a few bites and have to say it's a toss up between the two. My final thoughts.... GO! This was a lunch to remember. 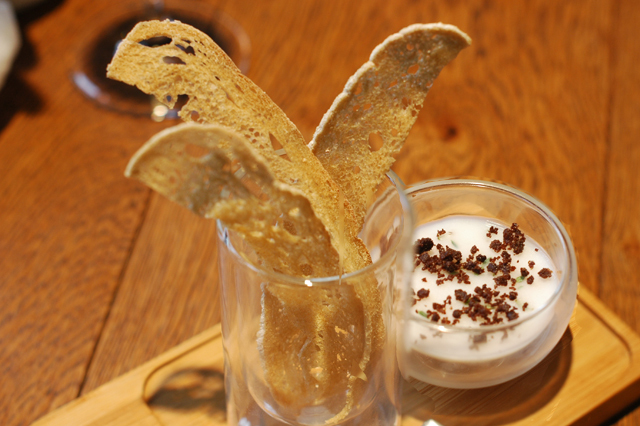 It gets a perfect 10 for all elements - service, presentation, taste and leaving with a full tummy.